Give Me My Remote > Sleepy Hollow > SLEEPY HOLLOW: ‘The Sin Eater’ Photos — FRINGE’s John Noble Makes His Debut! SLEEPY HOLLOW is on its first mini-hiatus, but we’re less than two weeks away from the next new episode, “The Sin Eater.” As an added bonus? The hour also marks the debut of former FRINGE star John Noble! You guys, I just can’t wait to see Ichabod’s take on baseball. 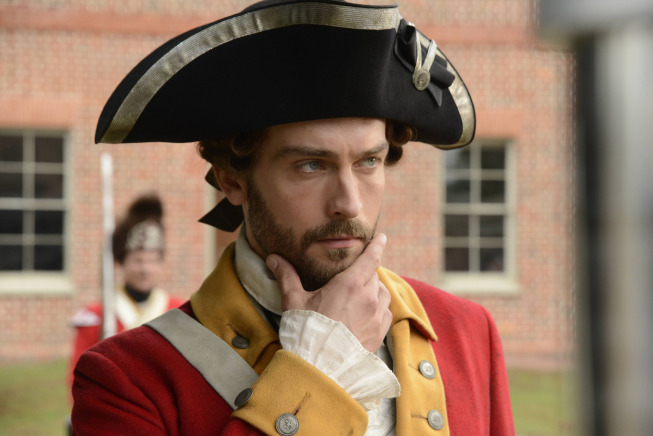 SLEEPY HOLLOW returns Monday, November 4th at 9 PM on Fox.